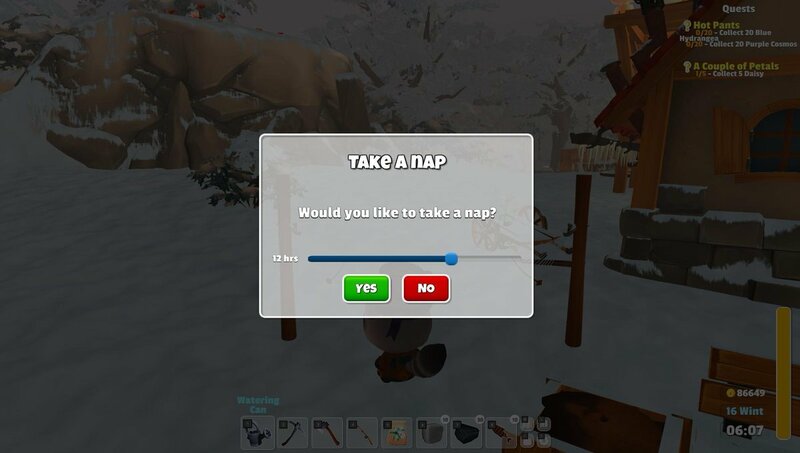 We have spent the last couple weeks really focusing on the multiplayer bugs and performance and after hours of testing we're glad to say it's looking great!! Huge Thank You to our Beta Testers and everyone that has submitted a bug or provided feedback, being such a small team we really appreciate all your support. It's been a ton of fun playing this game with the community and hanging out in Discord. Multiplayer middleware was changed to Photon Bolt. With this change the multiplayer is faster more stable and disconnects are less likely to happen. Now if disconnects happen the game tries to reconnect, and if successful you can keep playing with your friends right from where you left off. Loading and saving have been optimized. Loading times are now considerably faster. Halloween Island is now accessible on multiplayer. Coal drops have been increased to 3-8. Sprinkler radius have been increased slightly. Glider speed has been slightly increased. 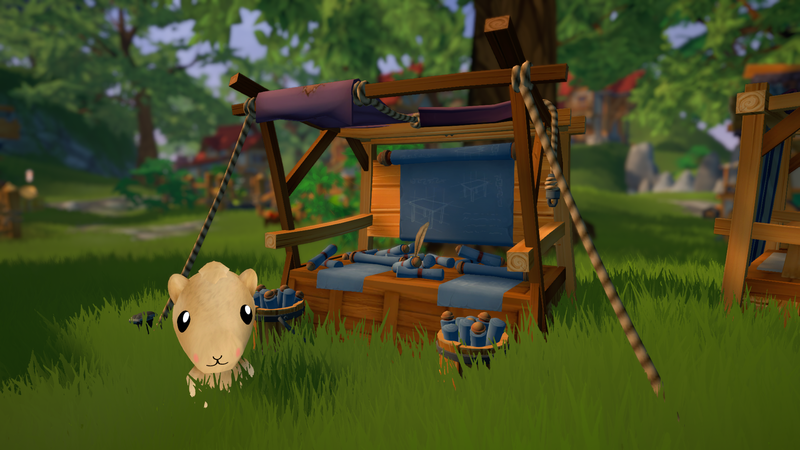 While Dan has been working on the multiplayer, Kristina has been writing quests galore as well as working on some new items. 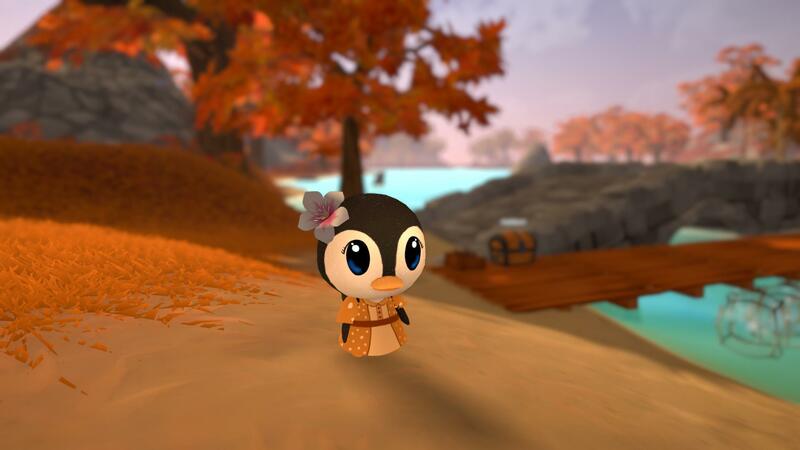 The next update we will be working on adding over 50 quests as well as the Spring Festival! 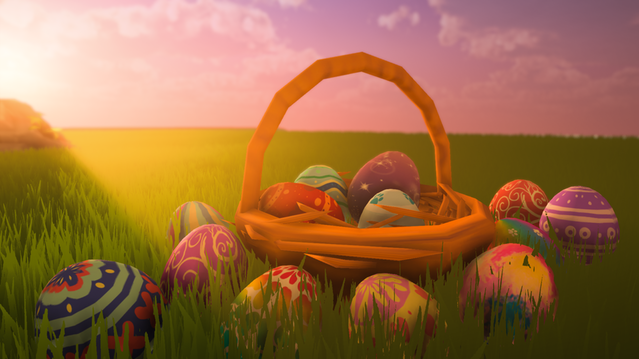 This update will also come this month in time for Easter. 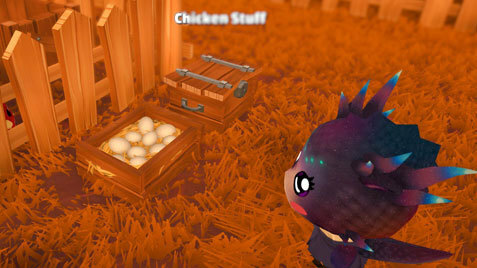 The Spring Festival will have an Easter Egg hunt, tons of new items and more! We'll share more on that soon. 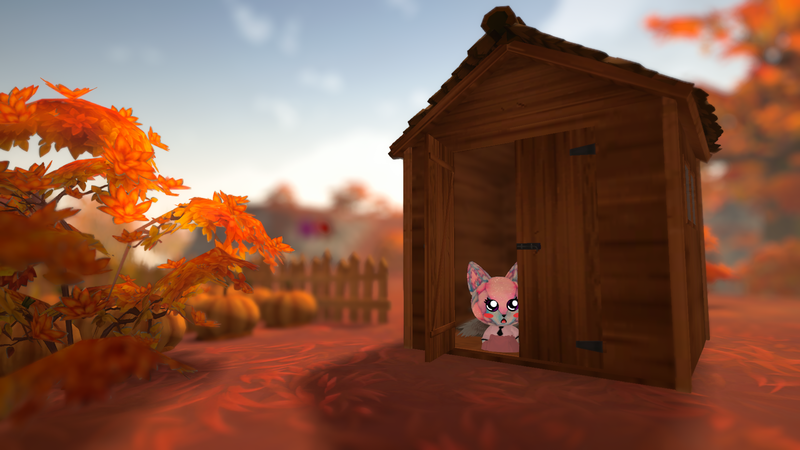 Without giving too many spoilers all we can say for now is we're very excited to start adding some epic content to Garden Paws! We've been having a ton of fun streaming, if you'd like to catch some spoilers or just hang out with devs Dan and Kristina you can find us on twitch at BittenToastGames. Multiplayer is our main focus for the next update. Dan (our programmer) will be replacing the multiplayer middleware. This means a complete revamp of the multiplayer code. As we are just a small team of 3 (Daniel, Kristina and Thiago), please bear with us as we get the multiplayer patched up. There's now a horse mount and stable. You can also ride many of the larger farm animals! There's an assistant! 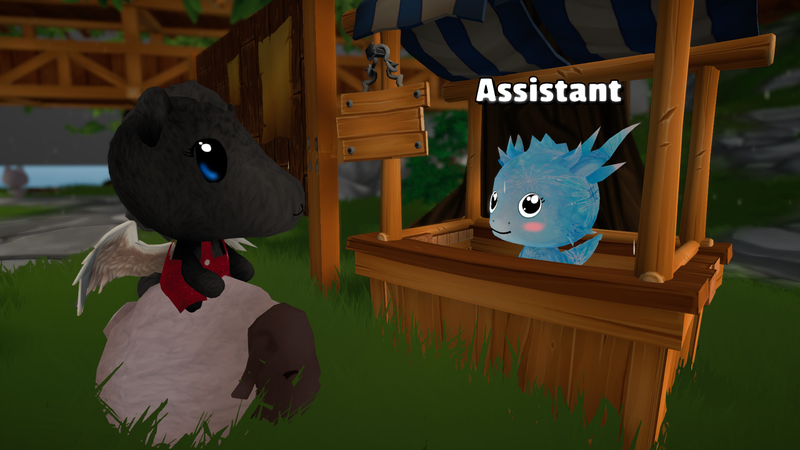 You can now hire an assistant to run your shop, for a % of the sales that is. 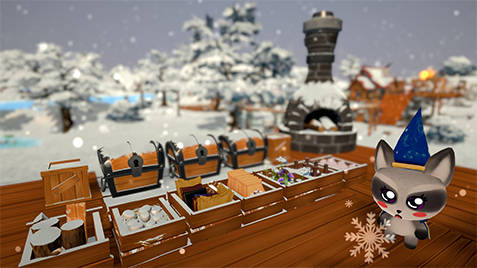 More cooking has been added! 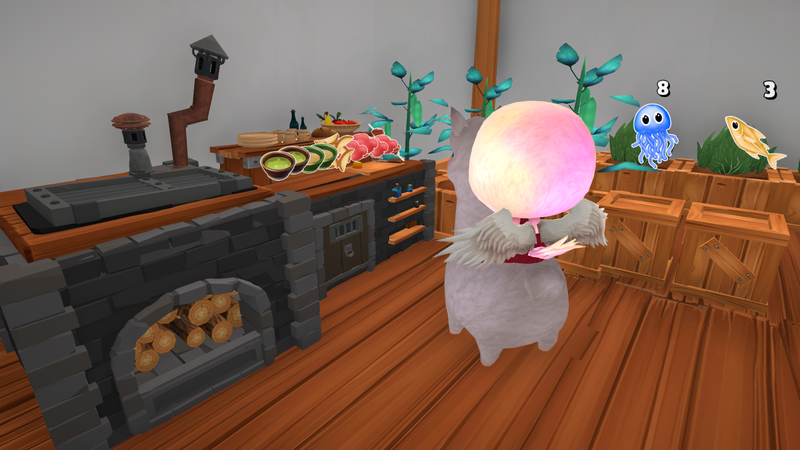 You can now use the churn, the oven or the cooking station to make over 20 new recipes! Furniture Blueprint Merchant has been added, and can be upgraded in town through Frank. New item: Silver and Gold Tools. These items will do more damage when harvesting and can be purchased from Beltran. 24+ new skins have been added, bringing us over 350 Collectable skins. 29 New quests have been added. Antique items now do respawn. This past update we have been heavily focusing on optimization and we're glad to say we've made some improvements. Not only that but we've been working on some bugs, including that pesky one that was disconecting clients on the next day in multiplayer. 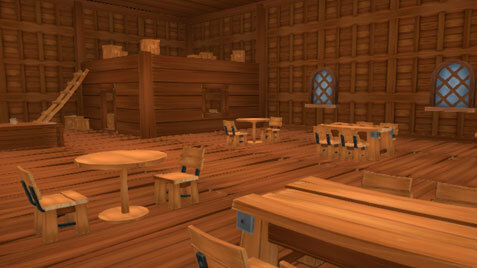 Along with the optimization and bug fixes we have included quite a few new items and over 20 new quests. 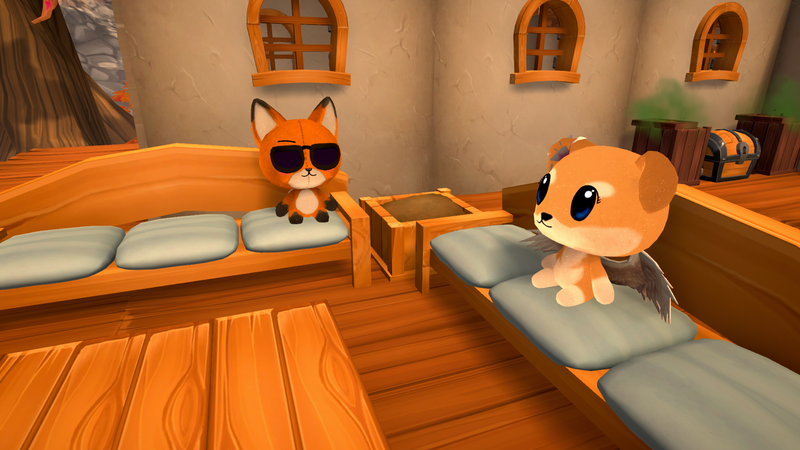 The Kickstarter Steampunk items are also fully implemented in this update. Including not one, but two gliders and two clothing pieces. We will be sending the Kickstarter wallpapers in the next update. If you're one of our Kickstarter Backers you will be receiving keys to access that content this week. Due to popular demand we have added dialogue for the townsfolk of Florens sooner than we initially planned. We hope you enjoy this feature. 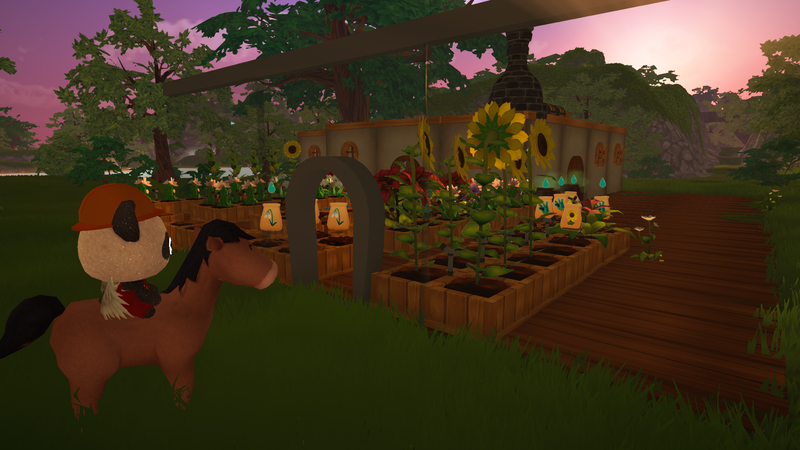 There is a new shop in Florens, the Garden Shop! Once you progress through certain quests you'll be able to aid a new member joining Florens. 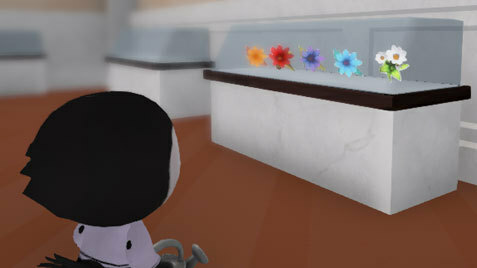 When this new shop is open you'll be able to purchase decorative rocks, hedges, ferns, benches potted plants and more! If you're enjoying those wood shipments, you'll love to hear there is a new questline that will lead you to daily stone shipments! The "do not build" collission has been reduced at the chicken coop area, you may now build inside the pen or on top of the coop. A couple tyops have been fixed in the quests and mail. Oh noes! A few fo skins that were missing noses have found their noses. The waterfalls no longer splash as much. Fixed the colliders on multiple items including the bridge near Sammy. The skin named "12,000" has been renamed to "Cosmos Cat", silly Splash. Some ferns that have been found floating have since been grounded. The limited time valentines day mail event has been removed. 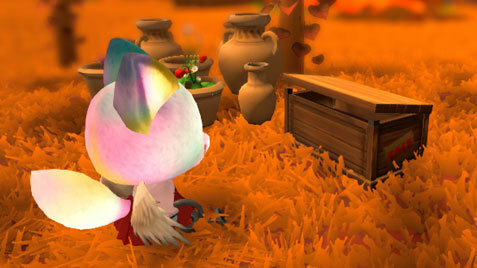 The items can still be obained in the game through the shopkeepers. Some items in the crafting menus have been rearranged. Happy Valentines Day! New Playable Character! 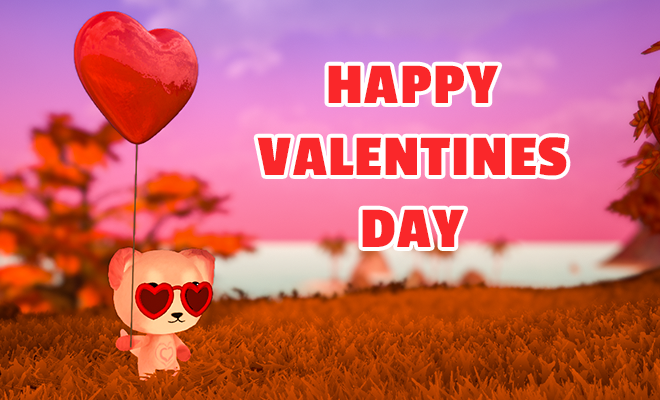 Today we released a small update to wish you all a happy valentines day! We are working on a bigger update heavily focused on multiplayer bugs and optimization that will be coming by the end of the month. 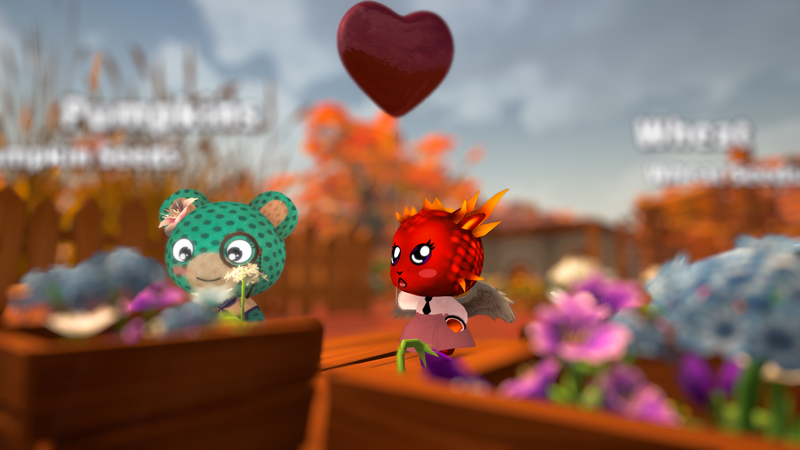 In today's update we introduced 2 heart-themed items. 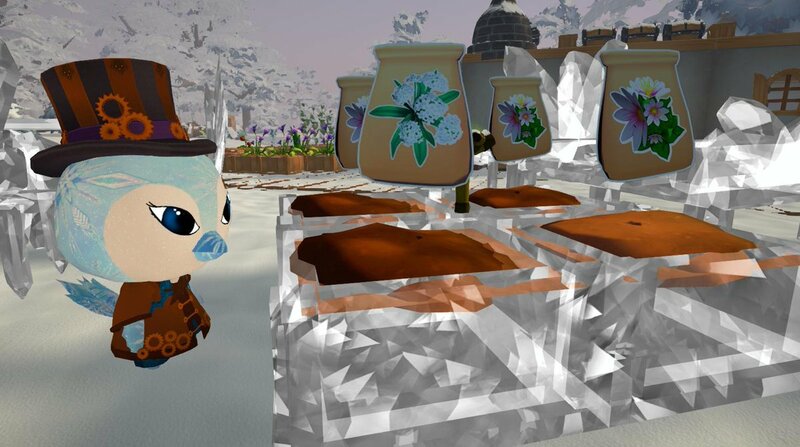 If you play within the next day you will receive a them as a little gift on your mailbox, but those items will be permanently available for purchase on Clovis' store from now on. 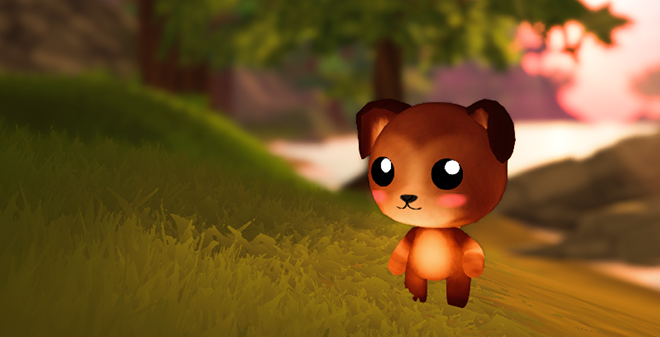 This update also introduces our latest playable character, the Dog! This character was requested by one of our Kickstarter Character Designers, Marley Pebble. 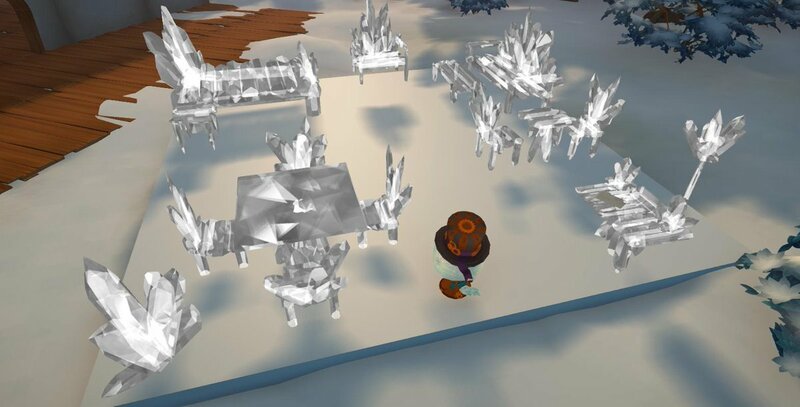 In this update the Wanderer set up a couple of new collections to be filled up for reward and an error that was popping up with the use of the Crystal Bed was fixed. We hope you've been enjoying Garden Paws! Have a great Valentines day, and again Thank you for all your support! A Huge Update for January! 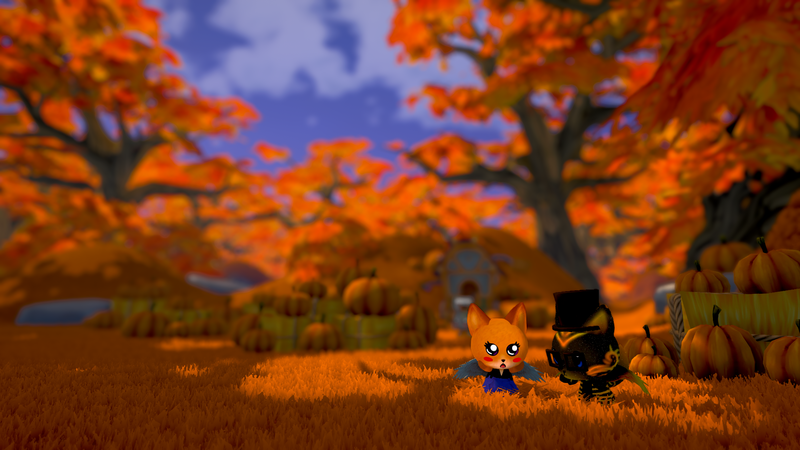 First off Thank You from the Devs of this little project; Dan, Kristina, and Thiago for all your wonderful support as we make Garden Paws. Every supportive tweet, review, message is incredible and we thank you dearly as we put our hearts into Garden Paws. 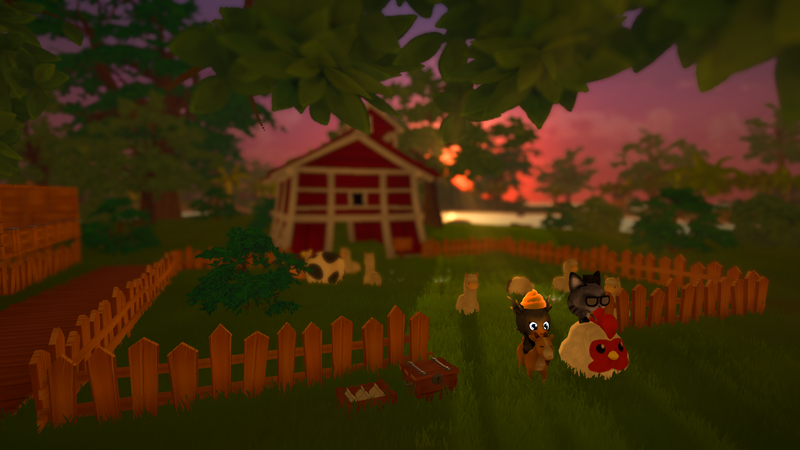 Being a small team of two developers and a composer is definitely a ton of work but we're really proud of how far Garden Paws has come in the last few months and are excited for 2019! To start it off we have a huge content update! Implementing the full controller support has been a huge priority for us and we're glad to say it's fully implemented in-game. The main menu is the only area it's not 100% in yet, and Dan will be working on this over the next couple days. We've heard you might want to get rid of all those insects and other items quickly and at a discount. With that, we've added the Discount Bin! Any items you place in the discount bin will sell for half price at the end of the day, this item is upgradeable with Frank. 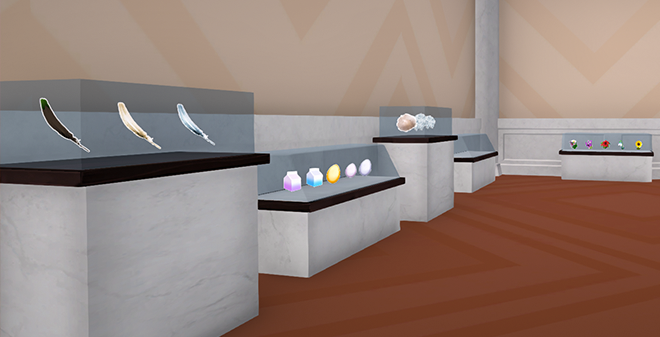 The first stages of the Museum has been added, with 15 collections to fulfill and more to come later. Once you complete a collection you'll be rewarded with new items and possibly even some information on how to tame a furry friend. Sadie's rustic inn has been built, with your help of course. The Inn brings along some new quests and soon a new shop where you'll be able to purchase your favourite beverages and Sadie's famous grilled fish! 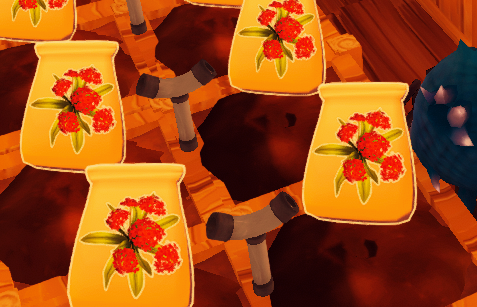 The fertilizer can now be crafted in the Compost Bin, and with a new recipe. It now takes 5 poop and only 1 wheat to make 5 fertilizer overnight. Fertilizer takes 0 stamina to use, and has a 25% chance to yield a seed when harvesting. Beltran isn't the only Blacksmith in town anymore! Build yourself a Furnace and Anvil to start smelting ores and sand from anywhere. 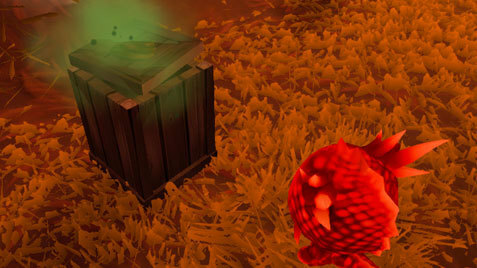 There are also quite a few new quests that will teach you how to make one of the many new storage chests. This last month we've added even more new items including; Black and Gold Wings, Rainbow Fairy Wings, Pumpkin and Stone Planters, Glass and more. We've also added a lot of new skins including the "Glow" skin set that is available for every current character in 6 colour variations. Minor improvements towards the optimization, the February update will be heavily focussed on optimizing the game as well as improving multiplayer. We've seen a relatively frequent problem arise with connection issues that has usually been resolved by disabling firewalls or switching who hosts the lobby. If you have any problems with multiplayer please contact Dan or Kristina, (the two devs), and we'll be happy to help. The map has been updated with the new islands, a sound has been added when you take a screenshot with F8, and many more small fixes are in this update. We will be doing a small patch in a couple days, after that we'll be doing a heavy optimization update. This update will be focused around improving multiplayer and overall performance. As much as we'd like to do another huge content update, we feel this is more important at this stage. As our only programmer, Dan will be mainly focussing on optimization for February. Kristina, (the other dev), will be working on the Creative Mode and a new shop that will sell all your Landscaping needs. Thiago, (our composer), will be, and has been working on the seasons music as well as compiling the soundtrack for it's release. We hope you've been enjoying Garden Paws, and again Thank you for all your support! Every positive tweet, review, and comment means the world to us!